Hiring a school safety consultant is delicate, unique and exciting – all wrapped up into one really important decision. How will you make sure they understand who your community is? How will they react when your community makes a ‘mistake’? How will your community react to having someone from the ‘outside’ support their safety initiatives? Will they yell at your community for being unsafe? These are just some of the questions that I’ve had schools of different sizes ask me over the years. - Where do faculty park? - What does drop off and pickup look like? - Who’s afraid of fires? - Who’s afraid of earthquakes? - Who’s going to freak out when an emergency happens? - Who’s going to freak out if lunch doesn’t get delivered on time? - Who has kids at another school? Who might leave to go get said kids… ? We approach partner schools with all of these questions (and so many more!) in mind because at the end of the day it’s our job to support the whole school, similarly to how a school’s job is to support the whole child. When we’re supporting a school, we’re focused on developing deep and meaningful relationships with each department, division and segment of the school because that’s how we find out who belongs where in the grand scheme of the emergency. Further, by owning the relationship with each part of the school, we know exactly when it’s time to push each section and/or the entire school to the next level. 1) Starting with backwards planning, identifying where we want to be as a whole and by when. 2) Developing an iterative strategy that scaffolds learnings and outcomes toward that end goal. 3) Sharing the “why” behind each and every step of the way. 4) Incorporating the emotional component of safety into the process, plan and strategy. People are people first, we believe you have to create an environment in which they are allowed to be human – anxious, overzealous, whatever that might mean for them. 5) Coordinate all of the necessary aspects of the program – incorporate the counselor(s), the nurse(s), the board, the leadership team, the students, the parents, etc. If all of the above sounds wonderful and like we know what we’re doing, that’s because we’ve been doing this for a while now and have supported hundreds of schools. We’ve managed to realize that every school is truly unique and needs to be treated as such. One of our best qualities (if we do say so ourselves) is that we never forget that the best way to make transformative and important changes is to make them in a way that makes sense for your school’s culture. That said, we’re not perfect. There are some scenarios that we’re really bad at and we hope that if you fall into the categories below, you read this article! 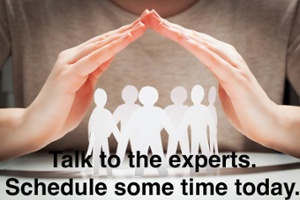 You can still call us and we’ll refer you to someone who can manage your community better. - Do ‘one and done’: Many times, schools call us and say “make me safe in a one day training”. It might be possible, but it’s not our thing. We just haven’t perfected getting a deep enough understanding of the community in a one day session to really make the difference we want to make. - Do the “scared-straight” thing: We believe in empowering schools and the people within them through confidence building exercises. It’s scary enough to be a high-schooler without some person coming in and telling you to be more scared because there’s going to be an earthquake tomorrow. - “independently make changes”: We need the support and buy-in of most of the school community. We don’t need everyone to rally around making the school safer, but we do need most of the community to be enthusiastic about becoming safer. If you’re a school where things are run from a single department or place, we might not be the right fit. - Work with great experts in different fields ranging from The Jane Group to the good folks at AJG, Bolton and CharterSafe, to Monica Applewhite in order to create a holistic and collaborative approach to developing the whole-school and a program that makes everyone safer. Figure out what your top 5 concerns are. For most, right now, you’ll have lockdown in there somewhere, but think beyond that - what are the threats to your school, community or physical location that you need to address? Find a consultant who’s approach matches yours - if you want to scare people, that’s fine. If you want to empower people, that’s cool. If you want to trick people, that’s fine too. Just make sure you’ve developed the right approach for your community, then find someone who can champion that with you. Sit back and feel proud that you’ve moved your community forward. For 5 minutes. Get back to work! You’ve got to support your new consultant as they figure out how to equip, prepare and support your community! To learn more about the services Joffe provides in our school safety consulting, or to simply speak with someone regarding how we can help your school, follow the button below!